How do I hook up a 1/8 inch male plug to 2 RCA stereo input jacks?! 1/8 wires are white, red & bare. RCA wires are blue and bare on one input jack and yellow and bare on other input jack. I'm guessing that bare on each side is ground or shield. 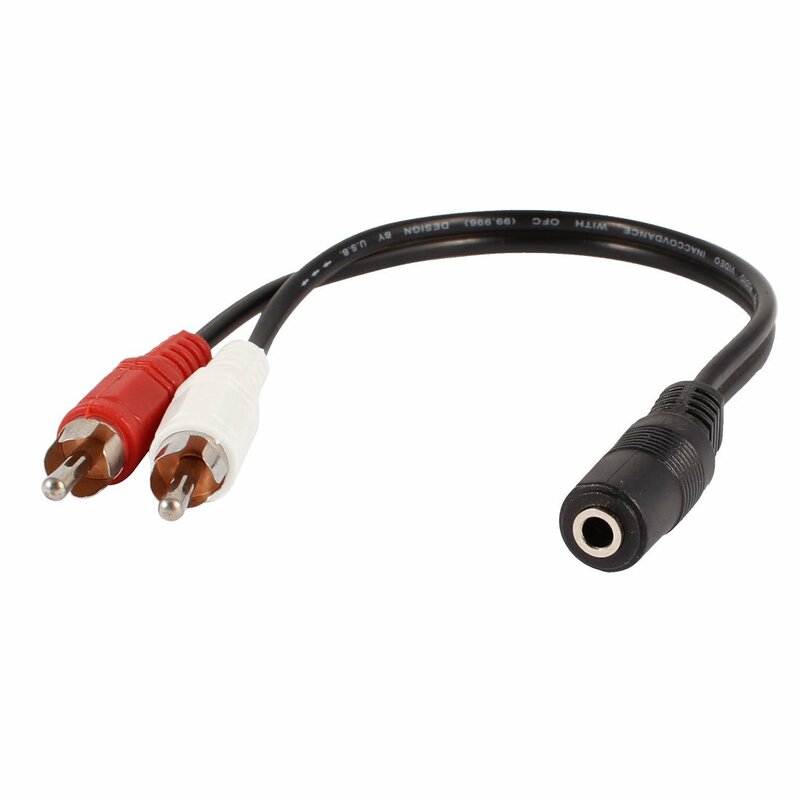 altec lansing ada885 broken audio input jack stereo 1/8"
Can I use a USB A male to 3.5mm 4 pole Converter cable to connect echo dot to my stereo usb input designated for iPod? connect a powered sub with a single rca input to a stereo amp with NO preout or subout? How can I connect two bluetooth speakers to my computer, using their audio jack inputs, to get stereo sound? how to connect analog audio input to stereo amplifier to optical output of Panasonic TC-L32C12 TV? How do I connect my new LG TV to my old Technics stereo? The TV has optical digital audio out and the stereo has RCA input. Cable selection: Stereo 3.5mm to RCA input?